The 2.2 litre 16 valve JTS petrol engine is a perfect blend of compact size and light weight. It is with this concentrated potency that the 2.2 JTS masterfully combines punchy performance, fleet-footed agility and sharp economy. 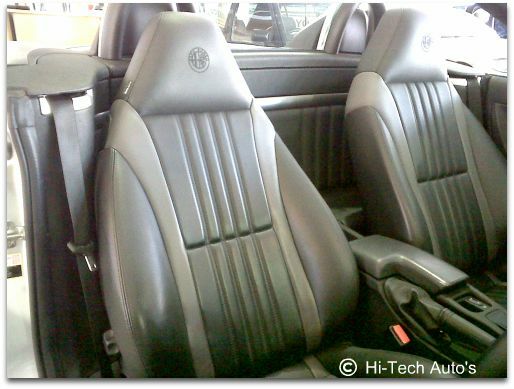 Advanced body engineering and 5 airbags ensure the Alfa Spider 2.2 JTS provides an optimal level of safety. The 2.2 JTS also comes standard with next-generation ABS, including electronic brake-force distribution, electronic stability, traction control. Like the dramatic exterior, the interior is a special place in which to spend time. 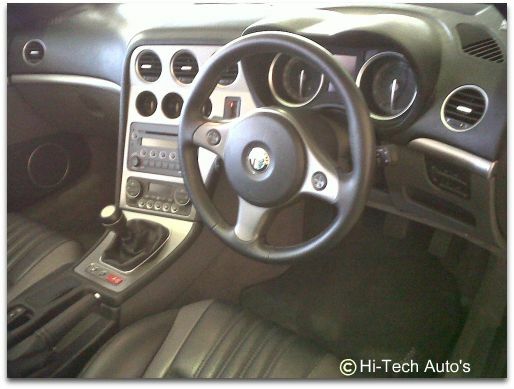 They layout is identical to the Brera's, and that means you get a traditional dash design with large, clear dials and decent build quality. 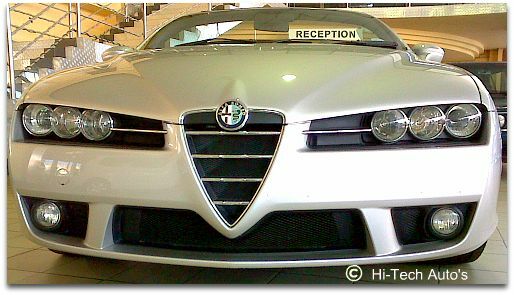 It has suffered tough times over the years, but Alfa Romeo is still a brand that has real pedigree. The Spider, a car made famous by the 1967 movie The Graduate, aims to restore Alfa's honour in the roadster market - and has an immediate benefit in considerable visual appeal. With luggage on board and the hood down, the Alfa is ready for your favourite road. Entry-level models are powered by the firm’s 2.2-litre four-cylinder petrol powerplant, delivering 185bhp to the front wheels. From the driver’s seat, it couldn’t be easier to convert to open-air motoring. Without the need to release any handles or catches, you simply hold down a button by the gearstick. This sends the roof whirring back into a neat space behind the rear seats in around 25 seconds. 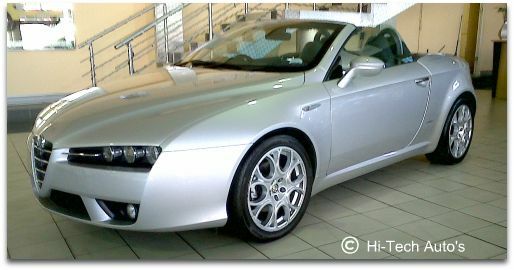 Alfa Spider 3.2 JTS 2007-View this beauty with only 24.000 Km's. We are passionate about the cars like aston martin v12 vanquish we promote and we know this is a passion shared by our enthusiastic owners.